File extension std was also used by SureThing CD Labeler software used to create rich CD labels, labels for jewel cases, covers etc. 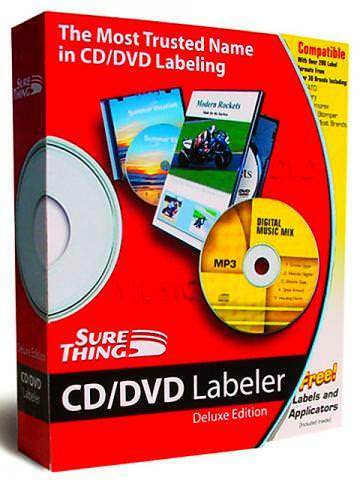 A .std file from SureThing CD Labeler is CD label document. SureThing CD Labeler software can be sued to create colorful labels to your CD, DVD and other media, jewel case inserts, covers and more. Replaced by the Disc Labeler product. Use SureThing CD Labeler to open and work upon this type of .std documents. Possibly can be exported to picture formats or printed as PDF. Programs supporting the exension std on the main platforms Windows, Mac, Linux or mobile. Click on the link to get more information about SureThing CD Labeler for open std file action. Programs supporting the exension std on the main platforms Windows, Mac, Linux or mobile. Click on the link to get more information about SureThing CD Labeler for edit std file action. Programs supporting the exension std on the main platforms Windows, Mac, Linux or mobile. Click on the link to get more information about SureThing CD Labeler for create std file action.